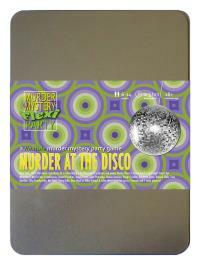 You've been invited to play the role of FOXY CASABLANCAS in Murder at the Disco. New York, 1977. Hot nightclub Disco 54 is hosting a birthday and only the coolest people are there. But before anyone can 'get down on it', nightclub owner Doctor Disco is found dead in the VIP lounge! Join us to find out whodunit! Let’s start with the big hair...you’ve got to work that afro, girl! Now add big gold hoop earrings, a cropped top to show off your midriff, and jeans. Finish with a denim or leather jacket and “I mean business” boots. You’re a tough-talking, street-hustling, crime-bustin’ superstar - at least, that’s what you want people to think. You’re trying to make a name for yourself as an action movie heroine but in reality you’re a middle class, well educated, classically trained actress. Your dialect is fake and so is your afro…but no one needs to know that.